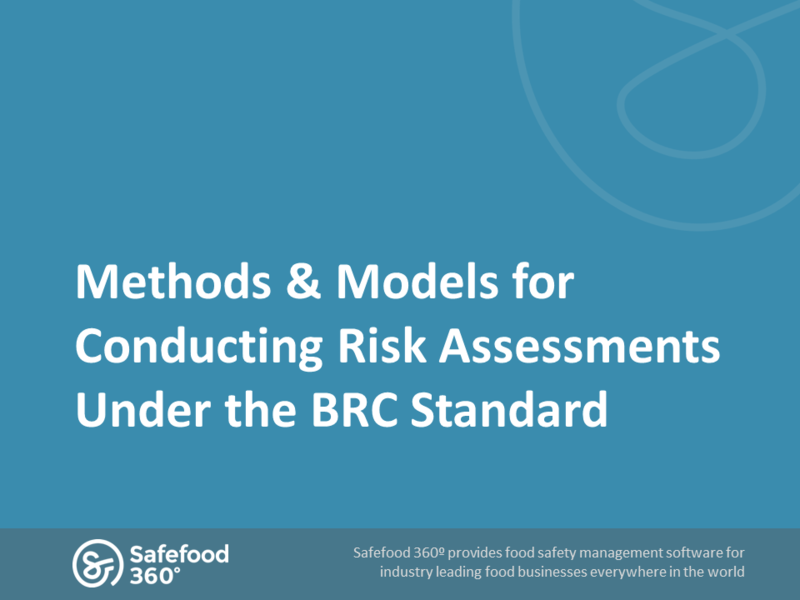 The BRC standard refers to the concept of risk assessment altogether more than 90 times throughout the standard. Programs and activities in your QMS are supposed to be based on risk assessment, but it can be very hard to pin point what exactly the standard means and what are the areas where you really do need to conduct a risk assessment. This presentation lists out typical cases where the standard refers to risk assessment, lists out all of the 96 instances where risk assessment is explicitly or implicitly required, and gives an example of how you can conduct risk assessments of non-HACCP items such as calibration or maintenance programs. This presentation supports some of the content found in our whitepaper on the same topic. The presentation was originally held at the Food Safety Live 2014 and it covers the following topics: What is HACCP and what are control measures in HACCP? What are the common areas of confusion and misunderstanding? 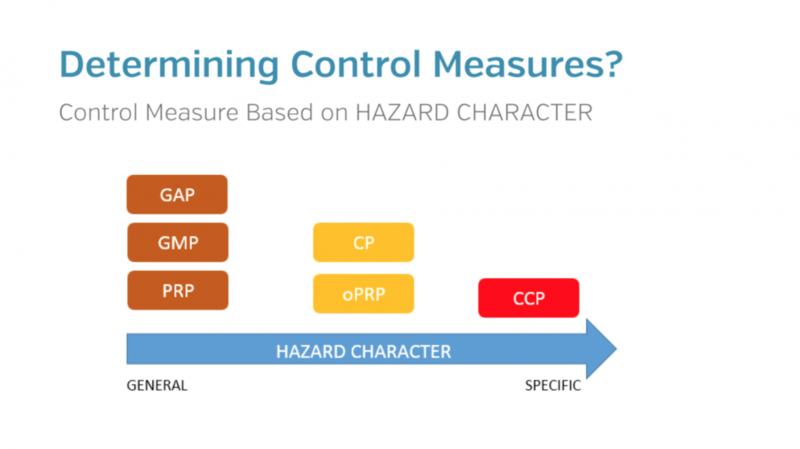 How can we simplify the determination of control measures? 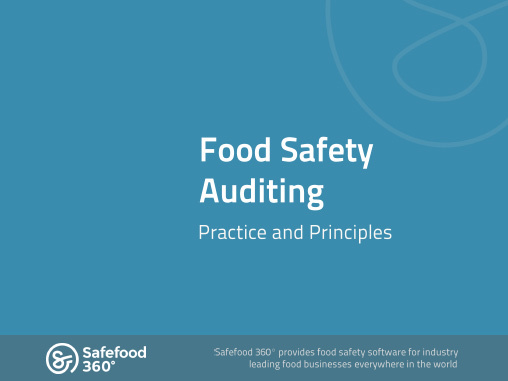 This presentation gives you a good overview about the basic principles and practice of food safety auditing. The presentation covers the seven principles of auditing, the profile of a good auditor and establishes the best practice for creating audit programs. 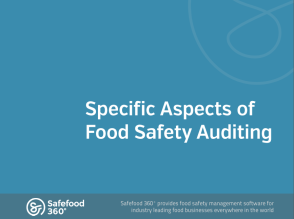 Following the first presentation on food safety auditing this slideshow goes deeper into the specifics of auditing practice. The presentation covers in detail the practice of auditing HACCP systems, quality management systems, and the various prerequisite programs. This is the first part in a series of slide shows on food safety risk assessment. 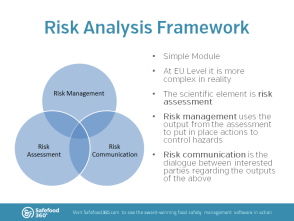 Risk assessment is one of the three elements in the Risk Analysis Framework, and this presentation gives an introduction to the topic. Topics covered: Introduction to food safety risk analysis, definitions for hazard and risk, the risk analysis framework, history and evolution of food safety risk analysis, the four steps of risk assessment, the six principles of risk assessment, hazard identification, hazard characterization, exposure assessment, and risk characterization. Part 2 on food safety risk assessment. 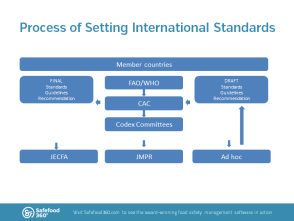 This presentation focuses more on the international side of risk assessments and explains how international standards are agreed globally. It includes a detailed review about the European Union approach to food safety risk management. Topics covered: International risk assessments, use of risk analysis, ALOP Approriate Level of Protection, food safety objectives, process of setting international food safety standards, the EU approach to risk analysis, list of data sources on risk management, and more.